This post is a mix of things coming up, and a short Tarot reading. We will lead off with the “High Deck”, from Arthur Amberstone and Wald Amberstone. I have this lovely deck in hand, but have not started reading the companion book or working with the cards yet. Subtitled “A New Universe Of Symbols”, its very being is symbolic. 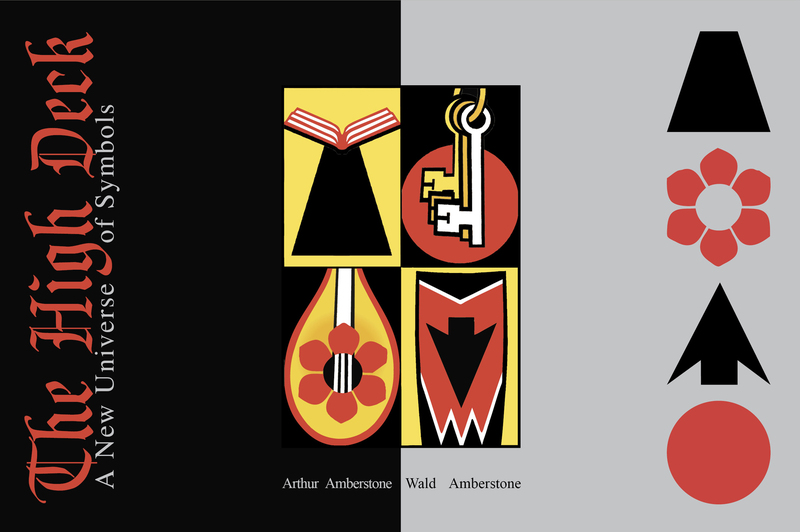 It is a work that developed between Wald Amberstone and his father, Arthur, which to me means a great deal. That Wald was able to bring this into the world to share with others is a true gift! Please excuse the image for this deck … my copy is on its way, and I could not find a better pic! This lovely deck, from Carrie Paris and Roz Foster, is a traditional Lenormand deck. 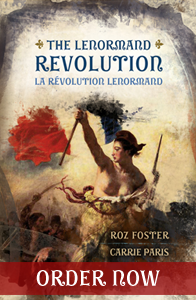 Each card features a French title with an English translation. I very much look forward to both reviewing it and working with it! The following is something very new for me … so new that I am not sure that I am qualified to review it! Many of you will recognize Jordan Hoggard as the creative force behind the Mystereum Tarot. 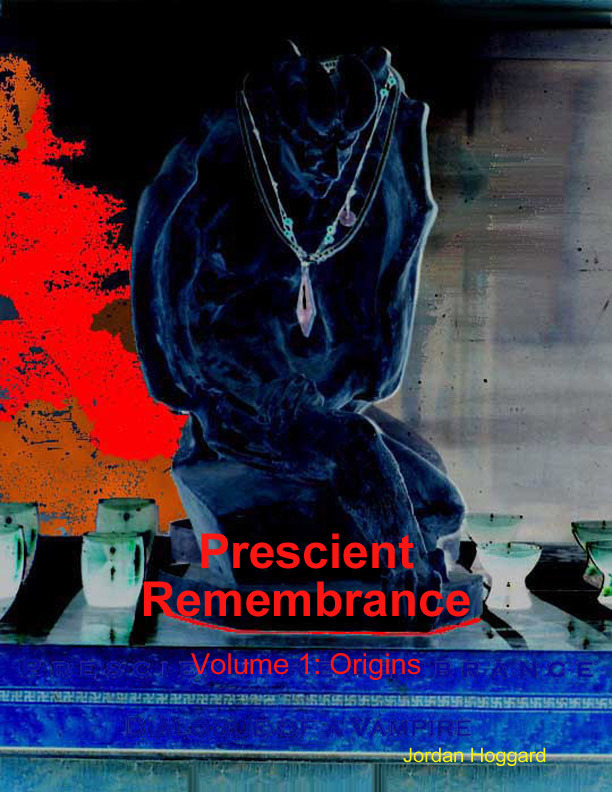 He has begun what is planned as a ten volume story series entitled “Prescient Remembrance”. Done in poetry format (which is where the “I am not qualified to review this.” comes in), it is about the centuries long search of a Vampire. I have volumes One and Two, and they are riveting! See more here – “Prescient Remembrance“. There is indeed some stuff going on here! Partner Number One feels that the relationship is out of balance in some way, and needs to be corrected. Partner Number Two is showing some strong fiery energy – he wants his own way! Their relationship is in a bit of chaos – each partner seems to feel isolated, and there are underlying issues of personal insecurity, as well as financial/material insecurity. I drew one more card – the energy this couple could use to bring their relationship into balance. The card drawn was the Five of Wands. Now, how is chaotic energy going to be used to balance chaotic energy? he first thing we want to look at is the energy of the suits – we are balancing a very earthy energy with the energy of Fire. We are adding passion to the mix! We are also adding a sense of competition and conflict. If these individuals are willing to look at what is causing the conflict in their relationship, they can move forward. Once they realize they are not in competition, that they function as a couple, they can move past their personal insecurities and work on the financial issues. All material on this site is copyright by Bonnie Cehovet, and may not be reproduced in any format without written permission. Note: This post was written for Pamela Steele’s “Steele Wizard Tarot” Facebook Group. Valentine’s Day is here, and we are looking at the card of the Lover’s. On the surface, one might automatically think romantic love, and certainly that is a part of this card. In the archetype of the Lovers we find gentleness and harmony, a union of male and female. We need to remember that this union can be with another individual, or it can be the union of our own male and female energies. The Lovers is about making important choices … not just romantic choices, but choices in all areas of our life. The process here is an intuitive one, as opposed to a logical one, and the choices are generally of a dualistic nature. When functioning well, the Lovers speaks of peace and harmony, of choices made that support the Seeker on their path. The Seeker is able to operate from a loving place, and make responsible decisions. However, when the Lovers card is not functioning well, the Seeker could be indecisive, conflicted, and prone to not being able to trust. This is not a good time for making choices, as they will tend to be irresponsible ones. With the Lovers, we can be looking at how we live our outer life, and whether or not our outer life is in conflict with our inner life. What mask(s) are we presenting to the world? What mask(s) are we presenting to ourselves? On this Valentine’s Day, we want to look at the bond we have with ourselves before we look at any bonds we may have with another. How free do I feel? Is there a sense of balance in my life? How comfortable am I with making decisions? How do I feel about my relationships (romantic, work, family, friends)? Do I feel empowered in my relationships? How well am I communicating? I accept love into my life unconditionally. 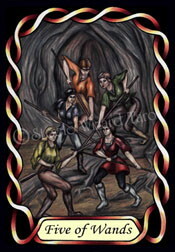 Image from the Steele Wizard Tarot (Pamela Steele, 2011). 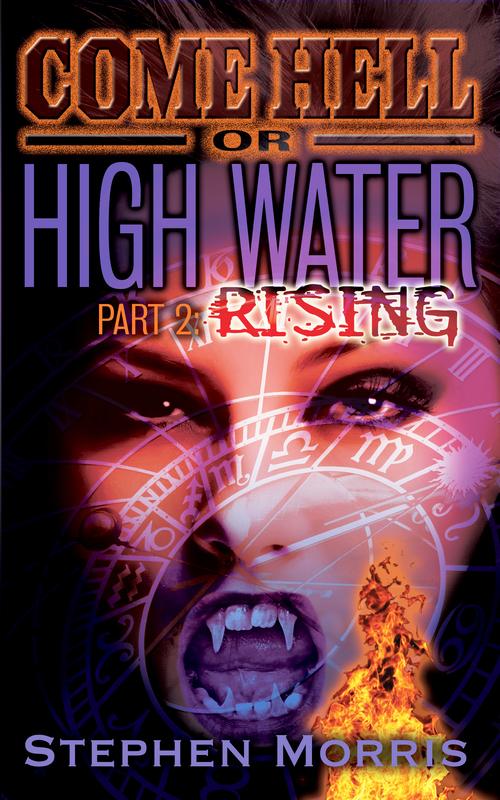 “Part 2: Rising” is the second book in a paranormal trilogy by Stephen Morris. In Part 1: Well Spring, we met Magdalena, a secretary at Charles University in Prague. Through a strange set of circumstances she ends up helping Fen’ka, a wise woman who was lynched by a mob for witchcraft in 1356. With her dying breath Fen’ka cursed the city and its people. In searching for help for Fen’ka, Magdalena brings two very dangerous people to Prague: Elizabeth, a beautiful Irish mythologist who is in actuality the Dearg-due (an Irish vampire figure that does not have to play by the same rules as the vampires that we all know and love! ), and George. a New York based Jesuit priest who is also head of a coven. What Magdalena does not realize is that George and Elizabeth are set on destroying the city of Prague! Amazing things happen in this book! Magdalena takes something of a back seat, while her best friend, Victoria, begins to work with a group of professors at the conference that Charles University is hosting on folklore, myths, and monsters. The two groups – Victoria and her professor allies, and Magdalena, Elizabeth, and George – face off against each other to find the four magical tools that protect Prague (a Chalice, Sword, Staff, and Pentacle). The story line and characters are very well presented. I am looking forward to reading Part 3!